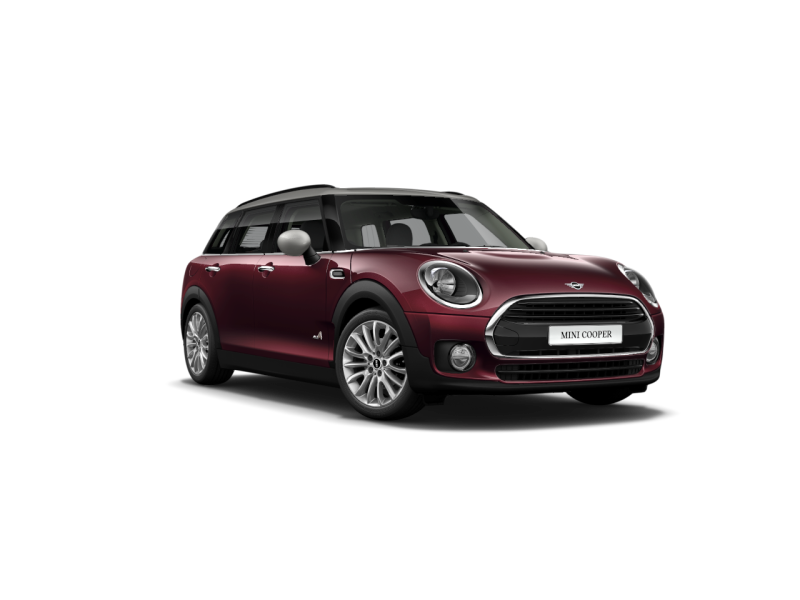 2019 MINI COOPER Clubman ALL4 with Pure Burgundy Met Exterior and Carbon Black Leatherette Interior. Equipped with Premier and Wired Navigation Package. Features include: 17inch Net Spoke RFT, Automatic Transmission, Roof Rails, Silver Roof and Mirror Caps and locking wheel bolts and much more! No Charge Scheduled Maintenance 3yr/40k. Price does not include Admin Fee ($495), Federal Air Tax($20), Tire Levy($89), PDI and Freight ($2495). Call us for a test drive 250-860-1269.